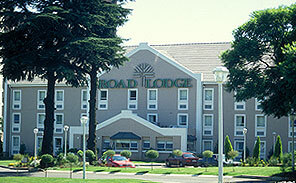 Road Lodge Germiston lake provides hotel accommodation in Germiston Gauteng and has 68 Rooms. The hotel/lodge has an upmarket restaurant on the property and a shopping complex is within walking distance. The Road Lodge hotel is across the road from the Germiston Lake and close to the sports stadia of Herman Immelman and Delville. 20 minutes from O.R.Tambo International Airport, 2 minutes from Rand Airport, 3 minutes from Germiston CBD and 10 minutes from Wadeville. *All Road Lodge rates are quoted on a per room basis. *Breakfast is an optional extra.